Currently, Apple is evaluating a variety different models of iPhone SE 2, but has not decided to use which one. 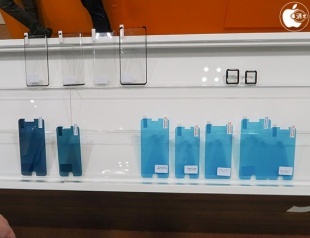 In these prototypes, one is identical to the 4-inch SE and one is a 6-inch display model, and all of the prototypes have two things in common: a notch design & support for Face ID. However, At this point, it is unclear which stage the iPhone SE 2 is in. It may be in the early engineering verification test (EVT) process or the more mature design verification test (DVT) process. Still, this certainly contains skepticism as EU regulatory filings last month suggested that Apple could release a product in the upcoming month or two, and most likely to be an iPhone some sort. It's also possible that Macotakara mixed up with 6.1-inch LCD models. Anyway, time will tell.